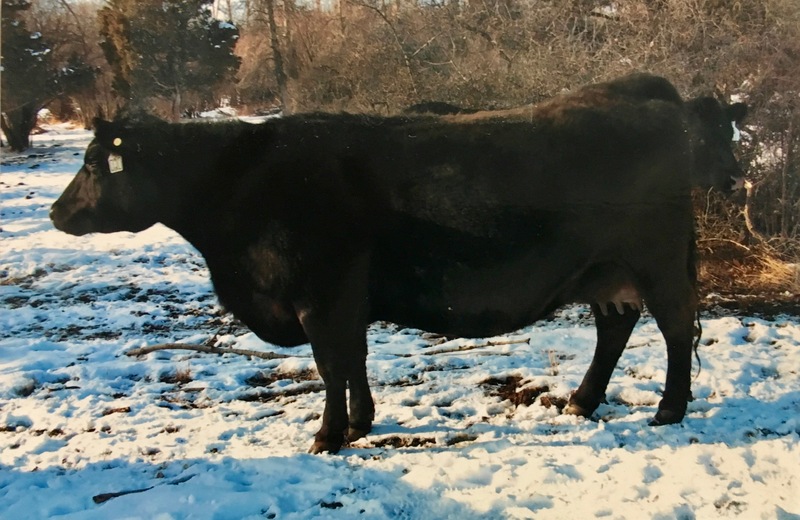 Another home raised bull “558” is a son of CH Quantum “6247” a bull that we used for many years as our primary heifer bull and left us with an abundance of good producing daughters. 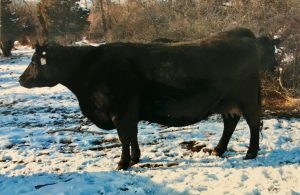 “558”’s mother is the “020” Quantum daughter who is also the dam of the “911” bull who we have many daughters of as well. Scott Spickard at World West Sire Services told me that “558” was one of the most structurally correct, well-muscled bulls he has had come through their bull stud. For us “558” is a carbon copy of his sire. He is being sampled via A.I. in a couple of registered herds and we will get a good group of calves out of him this spring as we used him natural service on 25 cows. We are very excited about this young sire and are hopeful that we have found the replacement for his sire.